Fom The Augusta Free Press. Pat Oliphant has donated his archives to the University of Virginia, including original artwork, sketchbooks & sculptures. The archive, to be housed in the Albert and Shirley Small Special Collections Library, includes more than 6,000 of Oliphant’s daily political cartoons, including the plate used by the Denver Post to print the cartoon that earned him the Pulitzer Prize. University Librarian and Dean of Libraries John Unsworth said the addition is both a complement to the library’s current holdings and an unparalleled collection in its own right. “We expect it to become a major resource for scholars at the University and beyond,” Unsworth said. The archive will be the subject of its own major exhibition at UVA in the fall of 2019 and will supplement other exhibitions and University programs. After processing, it will also be available for scholarly and educational use for UVA faculty, students and the general public. Oliphant said he considered options for where to leave his archive for scholarly use before settling on UVA. Oliphant, born in Australia in July 1935, moved to the U.S. in 1964 to become the political cartoonist for the Denver Post. His work became nationally syndicated that year, and international syndication followed in 1965. 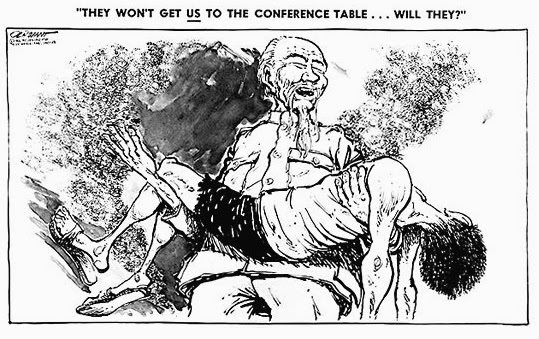 He won a Pulitzer Prize for a Feb. 1, 1966, cartoon titled “They Won’t Get Us To The Conference Table … Will They?” that depicted Ho Chi Minh, the president of North Vietnam, carrying a dead Viet Cong soldier. “Patrick Oliphant met editor’s deadlines over the length of his storied career with editorial cartoons that stand today and for the future as evidence of our national politics, society and culture,” said Brenda Gunn, associate university librarian for special collections and preservation. In addition to the Pulitzer Prize, Oliphant has won numerous awards, including the National Cartoonist Society Editorial Cartoon Award seven times, in 1971, 1973, 1974, 1984, 1989, 1990 and 1991; the Reuben Award for Outstanding Cartoonist of the Year in 1968 and 1972; and the Thomas Nast Prize for Editorial Cartooning in 1992. He has also received the Order of Australia, the country’s highest honor, in recognition of his work. 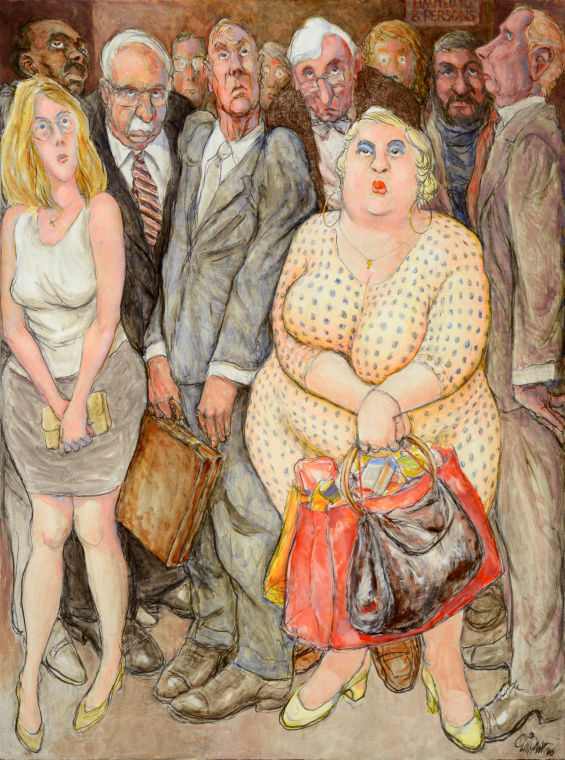 His work has been displayed in numerous exhibitions, including at the National Portrait Gallery in Washington, D.C.; the San Diego Museum of Art; the Library of Congress; the Andy Warhol Museum in Pittsburgh; the Susan Conway Gallery in Washington, D.C. and Santa Fe, New Mexico; The Corcoran Gallery of Art in D.C.; and the Bibliothèque Nationale in Paris. The archive is now physically at UVA and is being processed to be made available for research. Sketchbooks in which Oliphant worked out his ideas. Original art with color specified for many of Oliphant’s 1984 “Sunday Punk” comics. Scrapbooks put together by his father Donald of newspaper cartoons from Oliphant’s early career in Australia. Work commissioned for publications such as The New Yorker, Washingtonian, and Time magazine. 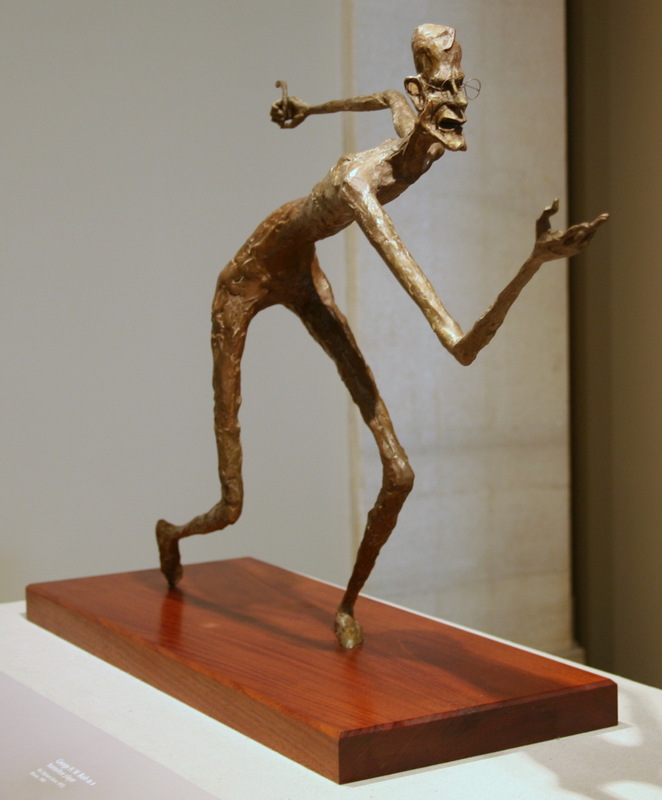 Fine art by Oliphant that remained in his personal collection. Correspondence from writers, artists and celebrities as varied as Hunter S. Thompson, Ansel Adams, Carl Sagan, Walter Cronkite and Gilda Radner (signing as “Roseanne Roseannadanna”). 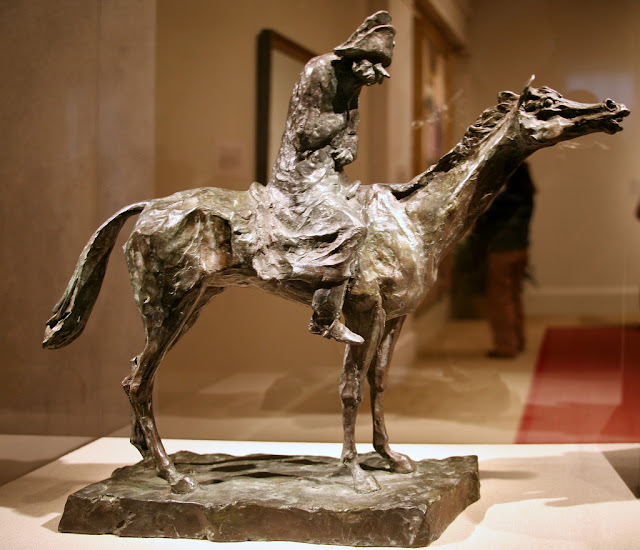 22 sculptures, most of them bronzes of leading political figures. 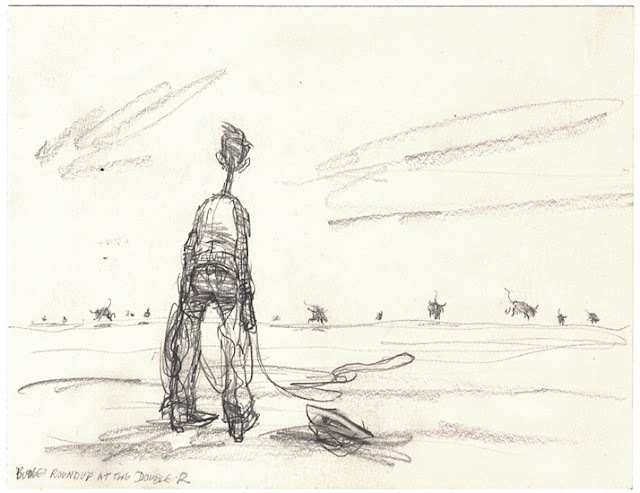 Drawings in a variety of media, such as charcoal, pencil, pen and ink, and watercolors. “George H.W. Bush as a Horseshoe Player”, 1989, bronze by Pat Oliphant.